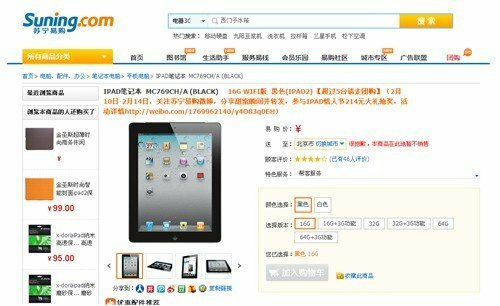 Online retailers Amazon China and Suning have become the first Web-based sellers to remove the iPad from their catalogues in China, as the fall-out from a trademark ruling develops the potential to massively affect Apple. Updated below to reflect news that Apple requested the removal of the product from the two websites. 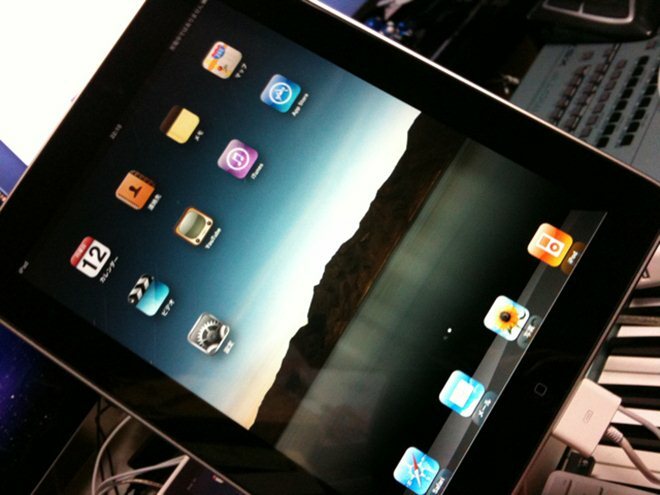 Apple is appealing the decision, which ruled that local firm Proview holds the rights to the word ‘iPad’, but it has already seen retail stores in Chinese city Shijiazhuang remove the product from their shelves, and now the action is moving to the Web. Though the two firms are relatively small players in China’s online retail space, the news — reported by QQ Tech [Chinese] and translated by Penn Olson — is a worrying development for the Cupertino-based firm in one of its most important markets. Just yesterday, Apple CEO Tim Cook reiterated that China remains a key focus for the company, but the possibility of a full trade ban on the iPad in the country, which Proview is pushing for, is becoming a distinct possibility. Screenshots from QQ Tech show that the iPad 2 was nowhere to be found on either Amazon China — which was recently rebranded from Joyo — or Sunings websites. Penn Olson verifies that a search instead brings up a series of accessories for the device. Tim Cook is predicting that the tablet market will grow to be as big as the PC market, but the company has a real challenge if it is to fulfill the prophecy for its business in China. As we said when retailers first began removing the device, it will be fascinating to see how this develops. The eyes of the world are on China and its legal system, which could cost one of the world’s most notable brands millions. In the meantime however, this momentum may see more retailers delist the iPad online or remove it from their shelves. Update 1: An official from the Chinese customs authorities has claimed that an import ban would be difficult to manage, as Apple Insider reports. Update 2: MIC Gadget has translated a report from Sina Tech [Chinese] that quotes an Amazon China spokesperson confirming that the iPad was removed from its website at the request of Apple.